Which Family Member Has Priority to Serve as Executor of My Estate? Estate litigation is often the consequence of a person dying suddenly and without leaving a will. Different heirs and family members may assert competing legal rights in the deceased person’s estate. Florida’s intestacy laws are designed to sort out such claims, which can still require the parties to expend a good deal of time and expense. For example, in a recent decision from the Florida First District Court of Appeal, Senopoulos v. Senopoulos, the widow of a deceased U.S. Marine Corps officer challenged a probate judge’s appointment of her ex-father-in-law as the personal representative for her late husband’s estate. The couple had only been married a few days when the decedent died as the result of a gunshot wound to the head. The decedent apparently did not have a will. His father subsequent filed a probate petition and asked to be named personal representative. According to the First District, the father “has alleged foul-play” on the part of the widow. Ultimately, the probate court granted the father’s petition, explaining that he was “entitled” to be named personal representative as the “nearest heir” of the decedent. But this was an incorrect statement of the law. 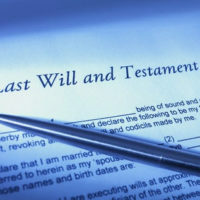 As the First District explained, in the case of an intestate estate–i.e., one where the decedent did not leave a will–Florida law gives the “surviving spouse” priority over other family members when it comes to naming a personal representative. So the father was not the “nearest heir” of the decedent and therefore not automatically entitled to the appointment as personal representative. Nevertheless, the father argued the probate court has the right to pass over the surviving spouse and appoint him “based on the inherent authority of courts to evaluate a person’s fitness for serving as personal representative.” That is true, the Court of Appeal noted, but the probate court in this case never made a determination that the widow was unfit to serve. It simply misapplied the law and gave the father priority. The appellate court therefore returned the case to the probate court to review the merits of the father’s fitness claims. The last thing most of us want to do is leave our closest family members fighting in court over who has the right to manage our estate. This is one reason, among many, why everyone should have a will. Even if you do not expect to leave a large estate, a will still ensures the person you want in charge of your affairs has the legal authority to act without question. Intestacy laws should only be employed as a last resort. If you need help making a will, trust, power of attorney, or any other document relating to your final affairs, your first step is to contact an experienced Fort Myers estate planning attorney. Call the Kuhn Law Firm, P.A., at 239-333-4529 to schedule an initial consultation with a member of our estate planning team today.